If you have been injured and permanently disabled on the job, you undoubtedly have a lot of questions. If I am receiving workers’ compensation, will I still be eligible for Social Security Disability? Will my VA benefits be cut if I receive Permanent Total Disability or Social Security Disability benefits? An experienced attorney can answer all of your questions and help maximize the total benefits that you can receive during and after treatment of your condition. When you suffer a severe injury, especially if it happens to you later in life, and you become permanently and totally disabled, you may be eligible for both workers’ compensation and Social Security benefits. Once it has been established that your condition is permanently and totally disabling, meaning that you will not be able to work again in the future, even at a sedentary job within a 50 mile radius of your home, you can apply for both Social Security Disability and Permanent Total Disability benefits. 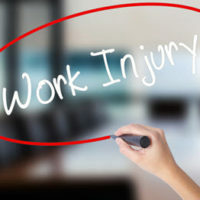 When an injured worker is receiving both Social Security Disability as well as workers’ compensation benefits, the injured worker may not receive more than 80% of his/her average weekly wages and to the extent he/she does, workers’ compensation may reduce its payment as an offset. This offset of SSD benefits when workers’ compensation is present is applied only to those younger than 65. Not all state and federal benefits are taken into this equation, however. If you receive Veterans Administration (VA) benefits as well as Social Security Disability (SSD) benefits, your SSD benefits will not be reduced because both programs have their own eligibility requirements. However, if you’re a veteran receiving VA benefits for non-service related disability, your VA benefits may be reduced by your Social Security payments because your non-service VA benefits are income-based. Additionally, any non-service related VA benefits will also reduce or make you ineligible for Supplemental Security Income (SSI) benefits because SSI is a needs-based program. Your VA benefits are considered unearned income and would reduce your SSI benefits dollar for dollar; however, the first $20 of your VA benefit is not counted by the Social Security Administration (SSA). The VA does not consider SSI payments as countable income when calculating benefit amounts. If you were permanently injured on the job, you may be able to receive both PTD workers’ compensation and SSD benefits, totaling a maximum of 80 percent of your original average pay. In order to ensure that you maximize this amount, it is in your best interest to work with an attorney. Call the West Palm Beach attorneys of the Celeste Law Firm today at 561-478-2447.